You are here: Home / Frequent Ask Questions / How long does it take USPS to deliver a Certified Letter? Plan on 3 to 5 business days unless you send it Priority Mail 2 or 3 day service. USPS Certified Mail provides the mailer a receipt or ‘proof of mailing’ and evidence of delivery when the letter is delivered. It does not guarantee an exact delivery time because someone must sign for each letter. Certified is primarily used for important notifications, compliance and business communications. 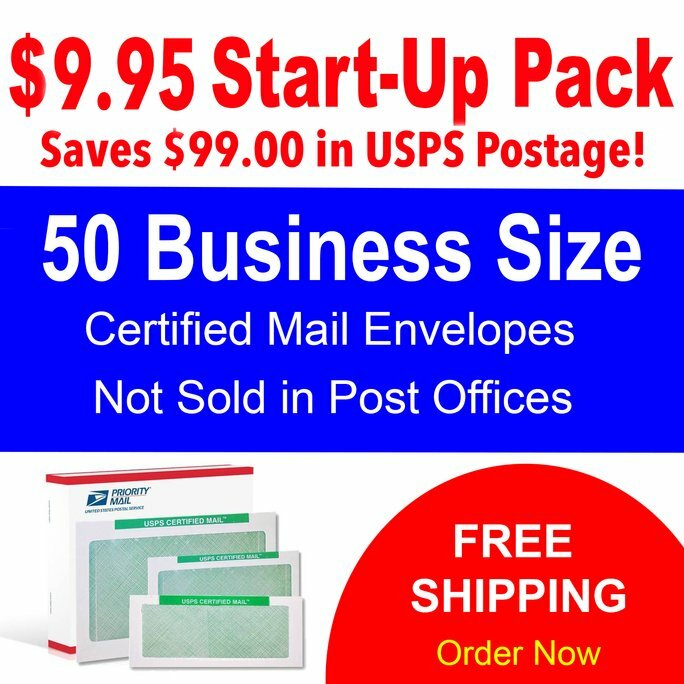 USPS Certified Mail is First Class mail with Special Services that receives priority delivery services from USPS. Remember at each delivery address someone must be available to sign for the USPS Certified letter. If you are mailing to a residential address and no one is home, a delivery reminder slip is to be left in the mailbox by the letter carrier. This reminder informs them a USPS Certified Mail letter is being held at the local Post Office for pick-up. They must go to the Post Office to Sign for the letter and pick it up. If no one picks up the letter after five to seven days, USPS attempts a second delivery. Again USPS will leave behind a delivery slip reminder by the letter carrier. Finally after ten to 12 days the third and final delivery attempt is made to the delivery address. After the final notice reminder is left the letter is taken back to the Post Office and held for five to seven additional days. This entire time frame can take 17 to 21 days if no one has claimed the letter. USPS then marks the letter ‘Unclaimed’ and the letter is returned to the sender.